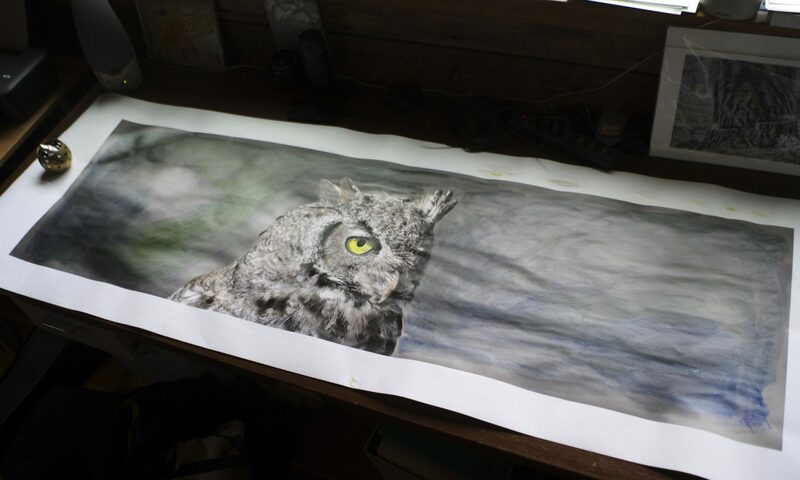 Just about done with the owl portion of this big (24 by 72-inch) hand colored photo. But I want to put a little more complexity into the background, which, in the original photo, is buttery smooth from being out of focus. I like the bright yellow eye, which is pretty accurate to how thr owl looks in real life.